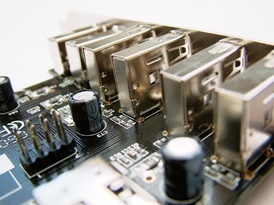 Most electronic product manufacturers will be familiar with RoHS, which attempts to reduce the amount of hazardous substances used in electrical and electronic equipment (EEE) which would ultimately affect human health and the environment. A recent change in the Legislation (as of the 2nd January 2013) now requires items within scope of the Directive (2011/65/EU) to be affixed with the CE mark. The RoHS Directive has been recently amended by the Amending Directive 2015/863 which has added four new substances as below. – IT and telecommunications equipment. – Electrical and electronic tools. – Toys, leisure and sports equipment. – Medical devices (Since 22/7/14). Equipment specifically designed solely for the purposes of research and development only made available on a business-to-business basis. The substances below have been further added to the scope of the Directive by Amending Directive 2015/863/EU. When measured they cannot contain a greater concentration of the hazardous material than those given above in homogenous materials, in comparison to its weight. The responsibilities within the Directive are set out for three different types of economic operators; Manufacturers, Distributors and Importers. Below is an example of the responsibilities that are applicable for manufacturers. Of course the obvious point is manufacturers must ensure the substances are not contained within their product. To prove this they must put together technical documentation concerning the product and evidence of the materials used. Which is more than just the RoHS declarations for each component! Technical documentation will need to be kept for a minimum of 10 years after the product has been placed on the market. Of course you will also need to ensure that series manufacture of the product does not harm its conformity. If a batch is found to be non-conforming then it is your duty as the manufacturer to recall the products and keep distributors informed. If you suspect that a product you have already sold might not conform, you must inform the relevant national authorities, and take measures to bring it into conformity, withdraw or recall the product as appropriate. If a national authority requests the conformity documentation, you must provide all information necessary to prove conformity in the appropriate language. Which is particularly helpful if you are not sure exactly what should go into your technical file. If you need further support with CE Marking your products under the RoHS Directive, then please call the technical team on 01564 792349.